"Serpent by the Tail." As the teens mourn the loss of one of their own, Lord Darkoth continues his quest to obtain a chest that contains the dreaded Daemonstorm. A force so powerful that it can change the very fate of all Azoth. Meanwhile, Alex receives training in the use of his magical skills by Delora who is discovered to be the daughter of Anomolin, a powerful wizard not seen outside the Black Mountains in over 50 years. And Alex will need all these skills as the group find themselves in a cave that is the lair of a mighty dragon. A dragon that stands in their way of obtaining the Daemonstorm chest and preventing Darkoth's reign of terror from truly engulfing Azoth. 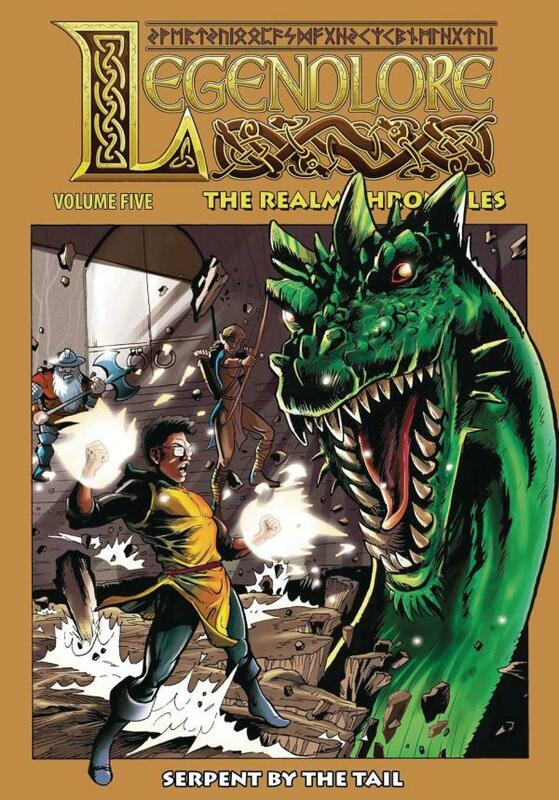 Collects The Realm Volume One #16-21. 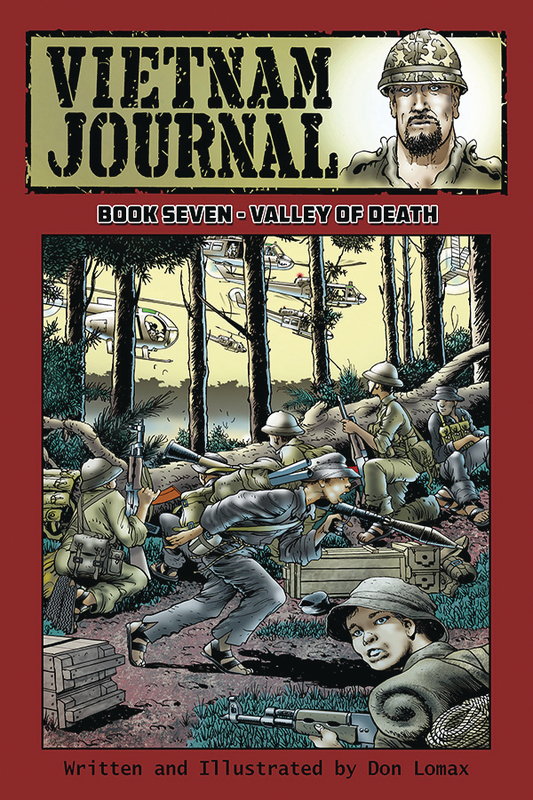 The acclaimed Vietnam Journal series is collected and presented as a series of graphic novels. Vietnam Journal is a look at the Vietnam War through the eyes of war journalist, Scott "Journal" Neithammer, as he chronicles the lives and events of soldiers on the front line. The U.S. military decides to launch an offensive into the A Shau Valley near the Laotian border. This has been a long time staging area used by the Viet Cong. Meanwhile "Journal" becomes fascinated with the story of a POW who belonged to a small tribe that has lived in the A Shau Valley for centuries. Included is the collected "Hamburger Hill" serial series that appeared in Gallery Magazine.